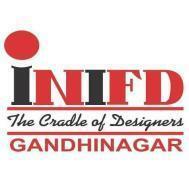 INIFD Gandhinagar is a leading fashion design institute supported by Largest Global Network of fashion Design institutes with a presence in 14 Countries and 4 continents. We have worked in designing field for 24 years and successfully given 5,00,000 finest professionals to Design Industry. With our arrival in the fashion industry, Salman Khan`s Personal designer Ashley Rebello joined our team as a Chief Mentor at INIFD Fashion Design. With Expert mentors, Students also gets a chance to showcase their work at International Fashion events like London Fashion Week, Lakme Fashion Week and Femina Miss India, as we are the official knowledge and educational partner of this shows. International Institute Of Fashion Design conducts classes in Fashion Designing and NIFT Coaching. It is located in Sector 6, Gandhinagar. It takes Regular Classes- at the Institute.